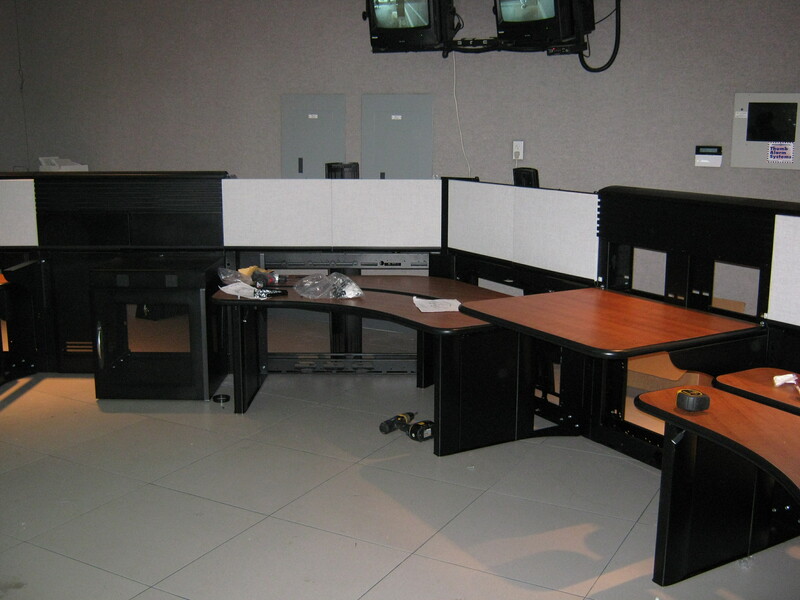 A couple of weeks ago we began the renovation of the dispatch room. We tore out the old furniture and floor on one side of the room and rebuilt it. Then moved operations from the old furniture to the new furniture and tore out and rebuilt the remaining side of the room. We still have some minor things to finish up and once the new radio system is in place and the large gray boxes on the desktops will go away and free up a lot of work space. Special thanks to O.S.C. our electricians, Eaton/Wright Line furniture, Data Supplies flooring, Blumerich Communications, microDATA NG9-1-1, HIS Communication, County Buildings & Grounds and our dispatchers for putting up with all the noise.